Lari Averbeck is a Realtor® with RE/MAX Metro is St. Petersburg, Fl. Lari has a unique market base and needed an updated website and overall look for her brand. 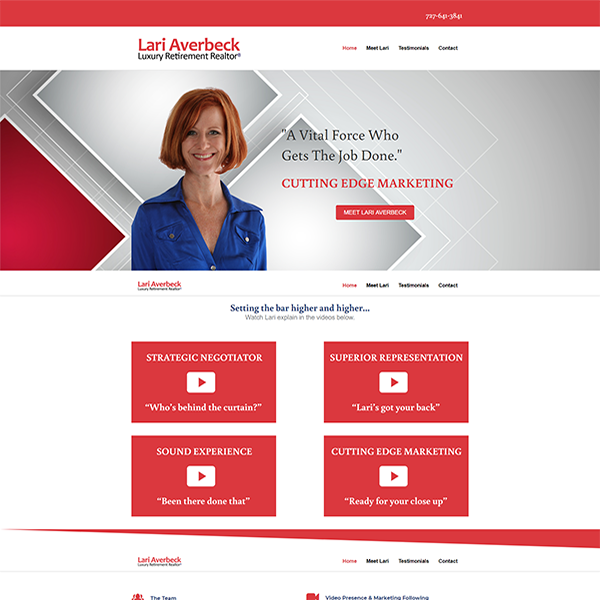 Having worked with Lari on several projects in the past, it was great to be able to create a clean, user friendly website for her.